The one and only Billy Connolly has announced a run of dates for the start of 2016 at London's Eventim Hammersmith Apollo. The comedian will play dates from Thursday 7 January to Saturday 23 January as part of his High Horse Tour. Avid fans should already be aware of the Art of Billy Connolly exhibition currently taking place at People's Palace in Glasgow, where The Big Yin's drawings and sketches made down the years, not to mention items from his collection such as the famous banana boots and a guitar made from a White Horse whisky box. It's great to see lots of positive Connolly news following revelations in the last year about his health issues. Make sure you ready by your computer for tickets, this one's a guaranteed sellout. 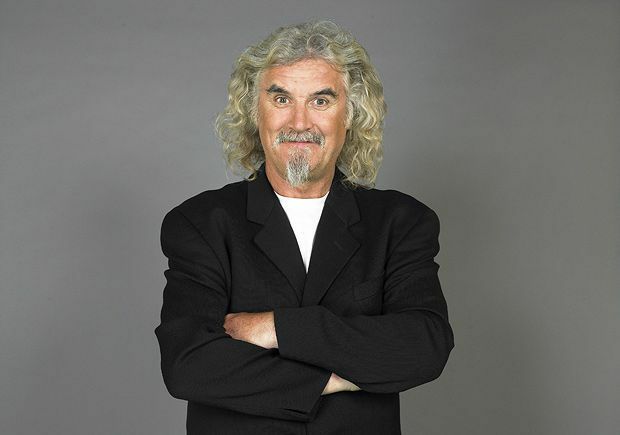 A rare chance to see live stand-up comedy from the Big Yin.